The author shows how the power of the mind can be used to cure any illness in the body. The assertion that thoughts shape human life does not just apply to aspects like success and happiness in professional and personal spheres of life. Louise L. Hay asserts that it also applies to health. According to Hay, every illness has a mental cause. Either a negative attitude, an event in the past, or negative thoughts. The illness is just a symptom. If the cause can be found and eliminated, it will be reflected in the physical body too. Hay used this idea to cure herself of cancer. She had been abused as a child and had suppressed her feelings and emotions surrounding the event. This had started taking a toll on her body. Hay ignored the disease and instead concentrated on the past event in her life and the effect it had had on her emotions and attitudes. She then decided to release all this negativity that had built up inside her. As Hay began to combat the negative influences with positive and curative affirmations, her cancer was cured without her taking any treatment. Hay identifies different parts of the body with different attitudes and beliefs. For instance, she says that the neck represents flexibility in attitude and if a person is inflexible and has difficulty seeing things from another person’s point of view, this could result in problems like a stiff neck. The book is like a reference manual that explains the use of mind power in healing. Each page has a table, with a body part or a disease listed in the leftmost column. In the second column, she lists the probable mental pattern of the symptom or illness. If a body part has been listed in the first column, the second column describes what that region of the body represents. The third column lists positive affirmations that could cure the illness or any problems associated with the body part. Louise Hay is an American author who has written many books on using the power of thoughts to achieve health, happiness, and success in life. 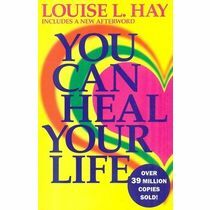 Some other books by Louise Hay are, You Can heal Your Life, You Can Create An Exceptional Life, and I Can Do It: How to Use Affirmations to Change Your Life [With Audio CD]. Louise Hay was born in 1926 in California. As a child, she had been sexually abused by a neighbor. Hay dropped out of school and had a child when she was 16. She had to give up the baby girl for adoption. She worked in several low-wage jobs and eventually began a career as a model. During this time, to overcome her depression she began studying New Thought books and the teachings of the Religious Science founder, Ernest Holmes. She also studied Transcendental Meditation at the Maharishi International University in Iowa. HEAL YOUR BODY : THE MENTAL CAUSES FOR PHYSICAL ILLNESS & THE METAPHYSICAL WAY TO OVERCOME THEM (PAPERBACK) The author shows how the power of the mind can be used to cure any illness in the body. Summary of The Book The assertion that thoughts shape human life does not just apply to aspects like success and happiness in professional and personal spheres of life. Louise L. Hay asserts that it also applies to health. According to Hay, every illness has a mental cause. Either a negative attitude, an event in the past, or negative thoughts. The illness is just a symptom. If the cause can be found and eliminated, it will be reflected in the physical body too. Hay used this idea to cure herself of cancer. She had been abused as a child and had suppressed her feelings and emotions surrounding the event. This had started taking a toll on her body. Hay ignored the disease and instead concentrated on the past event in her life and the effect it had had on her emotions and attitudes. She then decided to release all this negativity that had built up inside her. As Hay began to combat the negative influences with positive and curative affirmations, her cancer was cured without her taking any treatment.Hay identifies different parts of the body with different attitudes and beliefs. For instance, she says that the neck represents flexibility in attitude and if a person is inflexible and has difficulty seeing things from another person’s point of view, this could result in problems like a stiff neck. The book is like a reference manual that explains the use of mind power in healing. Each page has a table, with a body part or a disease listed in the leftmost column. In the second column, she lists the probable mental pattern of the symptom or illness. If a body part has been listed in the first column, the second column describes what that region of the body represents. The third column lists positive affirmations that could cure the illness or any problems associated with the body part. 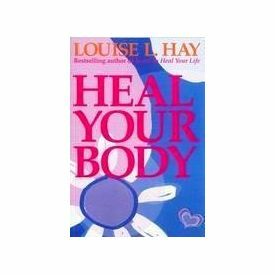 About Louise L. Hay Louise Hay is an American author who has written many books on using the power of thoughts to achieve health, happiness, and success in life.Some other books by Louise Hay are, You Can heal Your Life, You Can Create An Exceptional Life, and I Can Do It: How to Use Affirmations to Change Your Life [With Audio CD]. Louise Hay was born in 1926 in California. As a child, she had been sexually abused by a neighbor. Hay dropped out of school and had a child when she was 16. She had to give up the baby girl for adoption. She worked in several low-wage jobs and eventually began a career as a model. During this time, to overcome her depression she began studying New Thought books and the teachings of the Religious Science founder, Ernest Holmes. She also studied Transcendental Meditation at the Maharishi International University in Iowa.